National park bosses have pleaded with dog owners to keep their pets under control after sheep were attacked and injured. Police are investigating an incident in which breeding ewes were savaged in fields near Bowness-on-Windermere. 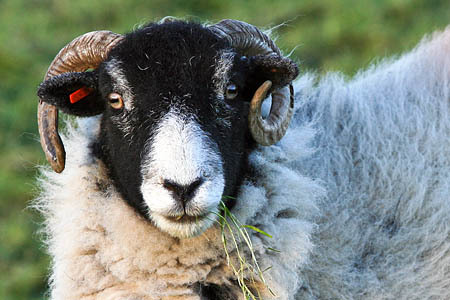 Lake District National Park Authority ranger Steve Tatlock said: “Police are asking for information and in turn we are appealing to dog owners to take special care of their pets near sheep. “Most walkers are sensitive to the needs of wildlife when out with their dogs, but the thoughtless minority can and do cause havoc. “This is a very sensitive and important time. A dog chasing lambing sheep can cause them to abort and, in the worst cases, kill the ewe. “Farmers have reported some sickening cases over the years and ultimately they have a defence for shooting dogs in the protection of their animals. This is obviously a last resort, but sometimes they have no other choice. “Obviously, we are early in the season, but that doesn’t stop horrific injuries from out of control dogs, as we’ve already seen. “Lambing time coincides with ground nesting birds producing their offspring, which are also at great risk from attack. The authority said, by law, canines must be controlled so that they do not scare or disturb livestock or wildlife. On open access land they have to be kept on short leads from 1 March to 31 July – and all year round near sheep. Close supervision is also required on public rights of way. Mr Tatlock said: “We want as many people as possible to enjoy our magnificent countryside. We just ask that a close eye is kept on dogs at such an important time for our animals and wildlife. Dogs are a pest and a pain on the fells. Try to say anything about their behaviour and they owners will defend their 'little babies' to the hilt. Over the years I've seen numerous cases of out of control dogs tearing around, and it's getting worse as owners are getting less responsible. The "Dog lobby is very powerfull. Owners react very defensively, and some aggressively,to any comment about control, or lack of from non dog owners. ..and don't get me started on the harvest of plastic bags containing poo that are scattered on trees and bushes at the access point to most footpaths. Not sure what can be done about it...? Indeed.... Bags of dog poo everywhere.... Should string these dog owners up with the bags! Oh do give it a rest you Nimby's !! "Dogs are a pest and a pain on the fells..."
Duh!! Let's not forget the lives saved & people helped by mountain rescue team dogs....or has this passed you by "Tucker 210"?? I think Ridgegripper proves my point about a defensive response…. Errr...thanx for your wise & educated comments, but did i state my dog was OFF the lead at the time....? I happen to live in the countryside my friend and am not a 'townie' as you perhaps imply? I am a dog owner, in fact i'm a dog owner living in Bowness where the incident occurred. I have a large, very fit Black Lab, infact a working gun dog on occasion. He has never been interested in sheep and i have good relationship with my local farmer, but not every farmer know who the good dogs are. So is it right that I am now pigeon holed along with all the irresponsible idiots that thought owning a dog was a good idea at the time...!! What makes me concerned is that people who do not live in the area bring their dogs into the area and because of the big open spaces allow their dogs to run wild... if you haven't got the space for a dog at home, don't have a dog..! But its this that gives dog owners a bad name... i often come across walkers who frown at me, implying 'get your dog on a lead'... WHY? its my dog, i know him well is attitude is outstanding, he is free to rome as long as its not far... you can't not label all owners of dogs the same... and i will defend both my dog and my actions if challenged. You don't notice the responsible owners with well behaved dogs, but Sirstones is correct when he says 'what makes me concerned is that people who do not live in the area bring their dogs into the area and because of the big open spaces allow their dogs to run wild'. Holiday makers and visitors to the fells are the problem, I've even seen some laughing when incidents happen, thinking it hilarious. It's the same type who go up the fells woefully unprepared and phone for rescue, with no thought that they're putting people out, etc. It's a reflection of how parts of society have become. Farmers use dogs to chase sheep around all the time. They do naff all to harm sheep. It is just a gerrof my lanx excuse. Sandra, I take it you haven't seen sheep drowned in a tarn after being chased in by someone's pet dog, or a sheep with her ear torn by the same dog? The owner was out of sight and oblivious to the harm her wee doggie was causing.